So, I’ve be scouring the web trying to figure out if my peppers are ready to be picked. I’ve read multiple things but I was getting anxious to pick a few, especially because I want to make sure that I encourage growth of more. Well, the mail man made the decision for me yesterday and decided that instead of walking the extra 20 or so feet around my garden from my neighbors house – he would walk RIGHT THROUGH it. I’m so mad! I have literally been dedicating time to these now large pepper plants since February. The leaves of 2 of my 8 plants were wilting and I don’t know if they’re going to make it. Since the peppers aren’t as ripe as I think they should be I’m going to take these (along with some others from the additional plants) and make pickled banana peppers. Look out for that recipe later this week. I figured this would also be a good opportunity to post about when to harvest banana peppers. Are my peppers yellow or is that a bit greenish? It’s kind of hard to tell. 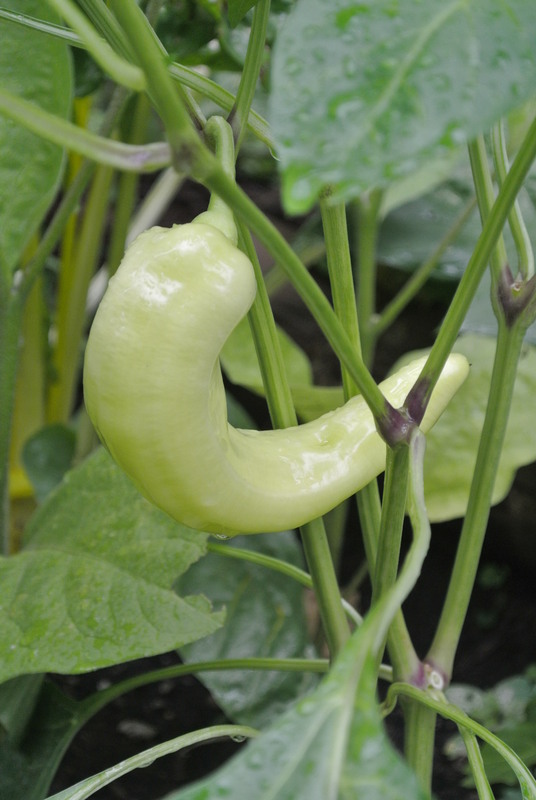 Banana peppers can be picked at multiple stages, the stage that you pick them at will determine their sweetness. 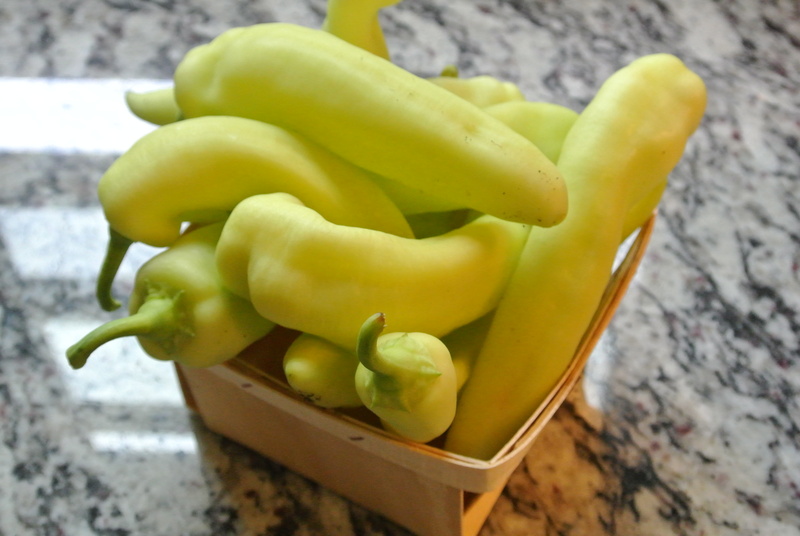 Sweet banana peppers get between 6″ and 8″ long. Their color changes from kind of green/pale yellow to a deeper more rich yellow, then orange to red. You can harvest them at any time once they’ve hit their mature length. This one is still in the “pale yellow/greenish” stage. Not ready to be picked. These guys are more yellow and are large enough to pick. 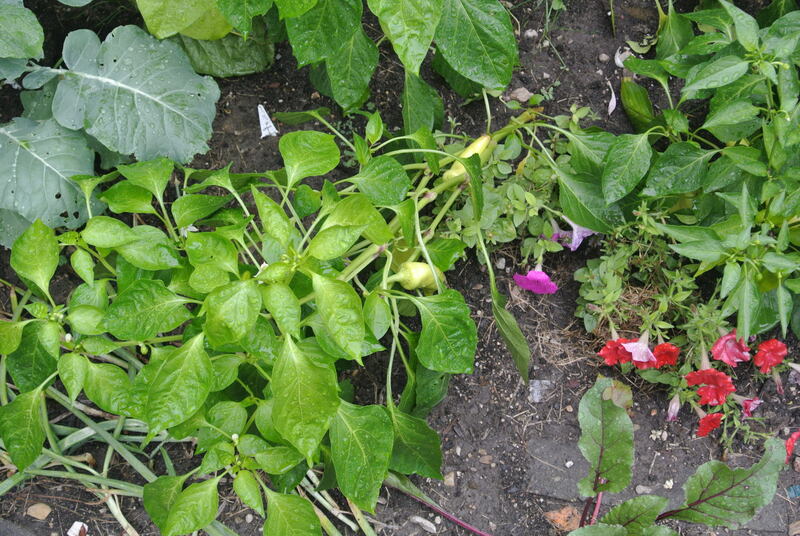 To harvest, snip the stems of the individual peppers using clippers or a sharp knife. Leave a small portion of the stem attached. Rinse and dry the peppers and store in the refrigerator. You can use them at this stage to pickle (which I’ll be doing), or to stuff (which I haven’t tried yet but might try later this season). Your blog look great. You should have sent Monster after the mailman.